CreativeSprint inspired me to get started on a creative journey. My friends inspired me to keep going. 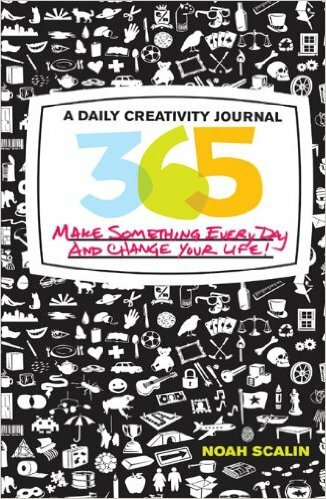 So, I purchased Noah Scalin’s most recent book, 365: A Daily Creativity Journal: Make Something Every Day and Change Your Life! I’m also giving myself some flexibility and challenging myself to one creative project a week. So, this book should keep me busy for about seven years! My goal is to post the results on Monday or Tuesday of each week. That way I’ve got the weekend if I need it.